do you have to reheat it every time you use it? No you don’t have to…. it probably works better warm but it still works just fine for me at room temp. Hope you like it! I have been using this for over a year and I use it everywhere. It also does a great job of cleaning my ceramic stove-top! do it have to be dawn dish liquid? Another great idea, thank you for sharing! I have problems with my sciatic nerve so sometimes things like this can make a big difference in how I feel for the rest of the day. I tried this. It didn’t do a thing, nothing. I think maybe it would be good if the soap scum wasn’t so thick, like after you clean it to maintain. I am sorry this didn’t work for you Jim. Did you just rinse it or did you scrub? You still have to scrub, especially if you are dealing with thick soap scum. Hi Ashley. I tried this formula and was impressed by the foamy look when sprayed on the tile walls. I figure the Dawn liquid detergent allows the vinegar to stay on the walls longer so it can dissolve the soap scum. I too had soap scum remaining but it was rather thick when we moved in. 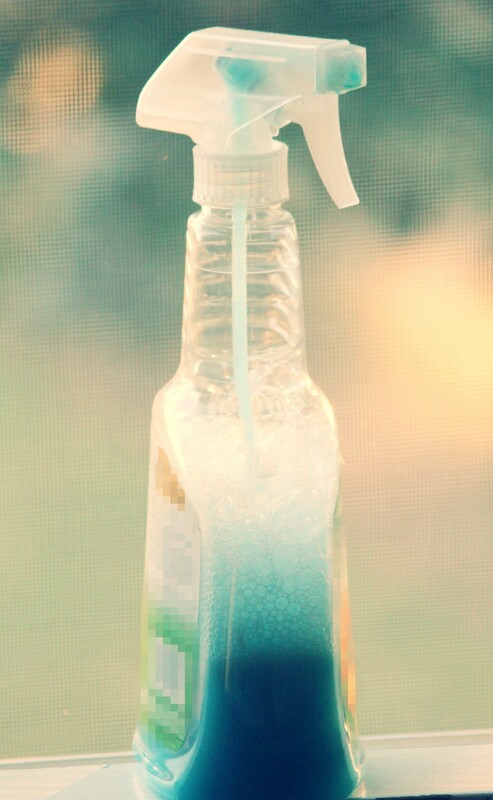 NOTE: the formula of Dawn and vinegar creates a caustic vapor so good air circulation is a must! Does the mix have to be used warm to be effective? I think it definitely helps. Hi Ashley. I miss your blog. How are you doing? Are you better since your surgery? How is your new addition doing? I was just wondering how you were doing since your last post and will continue to pray for you. Thank you for all of the knowledge you have shared in the past. God bless. I will try this recipe for soap scum removal and will let you know how it has worked out. Thanks again.